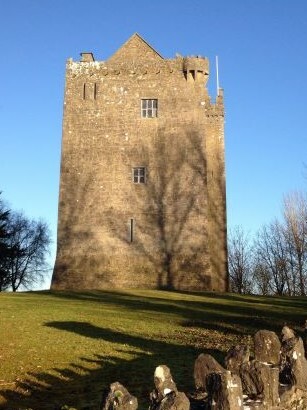 Welcome to Redwood Castle in Co. Tipperary, ancient home of the MacEgan's and O'Kennedy's. Today the Castle is one of the main historical attractions in the midlands of Ireland. Come and take a guided tour around Redwood Castle and learn about the history of the Castle and surrounding area. Should you wish to arrange a private tour outside of the official opening dates, please contact Coleesa at 00353877479566 or email coleesa.ireland@gmail.com. There is a minimum charge of €50 for two people. Booking is essential through our Facebook page or email redwoodcastleireland@gmail.com. Follow us on Instagram and mention us in your posts.